In 1948, Otto and Helen Hunerwadel were among the first cohort of Fulbright grantees to work in the newly independent nation of Burma. Having worked as a county agent in Tennessee since the height of the Depression, Otto (1891-1952) brought a wealth of experience as an agricultural teacher and advisor, while Helen (1898-1996) was an experienced instructor in canning technologies. Based near Taunggyi in the eastern Shan states, the Hunerwadels were witness to the earliest days of conflict between the central government and both Communist and ethnic Karen insurgencies, but despite the instability, they left a record of assistance that contributed both to the formation of US policy in international development and the growth of the Fulbright program. In July 1952, Otto contracted malaria and died in Rangoon of thrombophlebitis produced by his treatment. He became famous posthumously as the model for the heroic title character in William Lederer’s novel, The Ugly American. 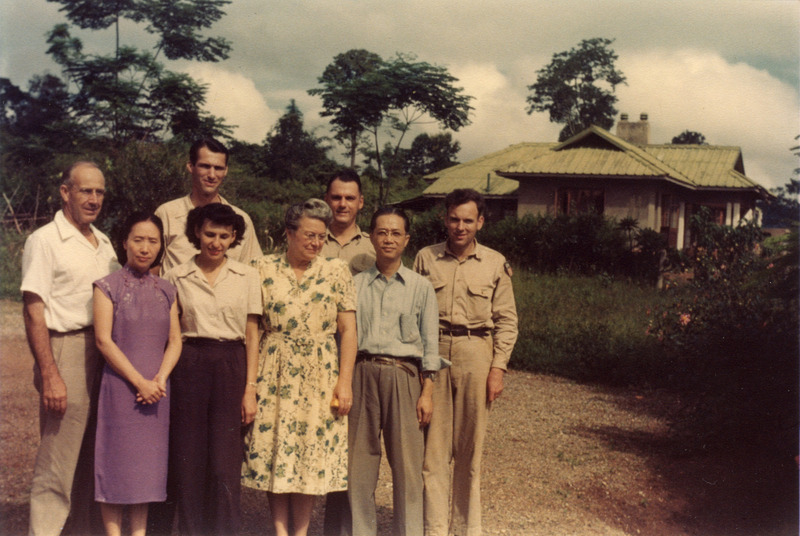 Although Helen returned to the states after Otto’s death, she continued to work with Fulbright programs, doing two-year tours of Iran (1953-1955) and Surinam. Frederick Painter Jeffrey was born in the coal mining town of Trauger, Pennsylvania in February 1911. Jeffrey received a BA in poultry husbandry at Pennsylvania State College in 1932 and then an MS in poultry genetics at Massachusetts State College in 1934. Jeffrey became a professor of Poultry Science at Rutgers University from 1935-1944; after leaving Rutgers, Jeffrey became a professor in the Poultry Science Department at the University of Massachusetts, a department he later headed. In 1954 he became the Dean of the Stockbridge School of Agriculture, a position he held until his retirement in 1971. Frederick Painter Jeffrey died in September 1997. The Frederick Painter Jeffrey Papers include materials about his work with Bantam chickens and document his tenure at the University of Massachusetts Amherst. There are also limited materials related to his family and schooling. A pioneer in scientific agriculture, Manly Miles was born in Homer, N.Y., in 1826. A naturalist by inclination with a strong practical streak, Miles took a degree in medicine at Rush Medical College (1850) and practiced as a physician for eight years. 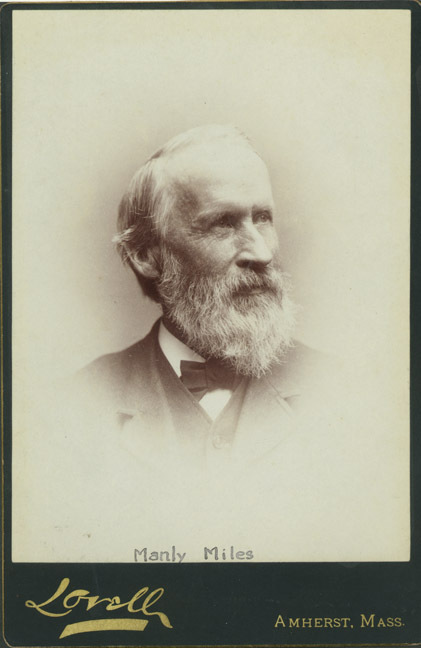 His interests in the natural sciences, however, soon left him to abandon medicine, and after accepting a position with the State Geological Survey in Michigan from 1858-1861, he turned to academia. 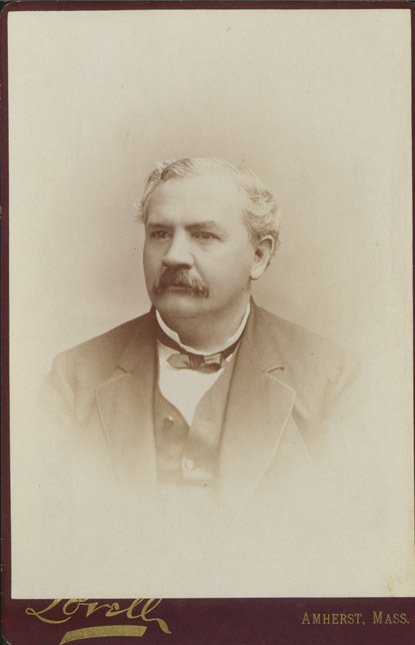 An early member of the faculty at Michigan State College, and later Illinois State College, he was recruited to the agricultural faculty at Massachusetts Agricultural College by President Paul Chadbourne in 1882. Four years later, however, following Chadbourne’s untimely death, Miles returned to Lansing, Mich., where he remained until his death in 1898. During his career, he was noted for his interests in organic evolution and plant and animal breeding. The Miles collection contains 8 notebooks containing notes on reading. In addition to a general notebook on scientific matters, the remaining seven are organized by subject: Breeds of animals, Farm buildings, Farm economy, Feeding and animals, Implements, Manures, and Stock breeding. 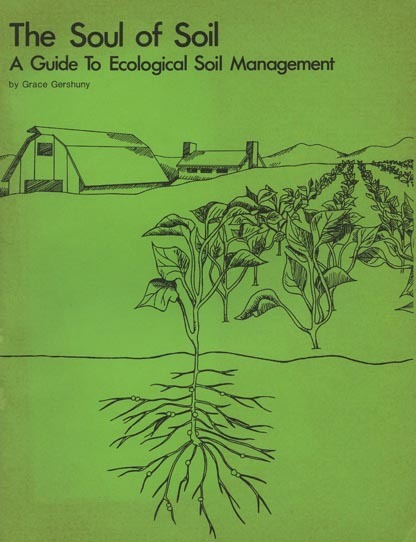 After dissolution of the New England Research Council on Marketing and Food Supply in 1955, a group of agricultural economists from the six state universities in New England formed the New England Agricultural Economics Council to carry on with the mission of promoting education and research on economics and the social problems relating to the production, marketing, and consumption of agricultural products. Concentrated on the first ten years of the NEAEC, the collection include organizational materials, correspondence, minutes and proceedings, financial records, and newsletters. The New England Federation of Agricultural Students was organized in 1907 for the purpose of bringing together agricultural students of New England colleges for the study and advancement of agriculture and allied sciences and to learn about each others’ work. The Federation organized annual contests in fruit grading and packing, poultry, field crops, and stock. Correspondence (1915), minutes (1915), constitution, treasurer’s report (1914-1915), records of the secretary and treasurer (1907-1915), contest scores and results (1914), and judging regulations (1913-1916). After receiving her B.S. from Massachusetts State College in 1941 and M.S. in microbiology from UMass in 1957, Iona Mae Reynolds embarked upon a teaching career of over 30 years in the Stockbridge School of Agriculture, later serving as the school’s Assistant Director. In 1985 Reynolds was awarded the Chancellor’s Medal for her service to the University as a faculty member and her many years on the associate alumni Board of Directors. 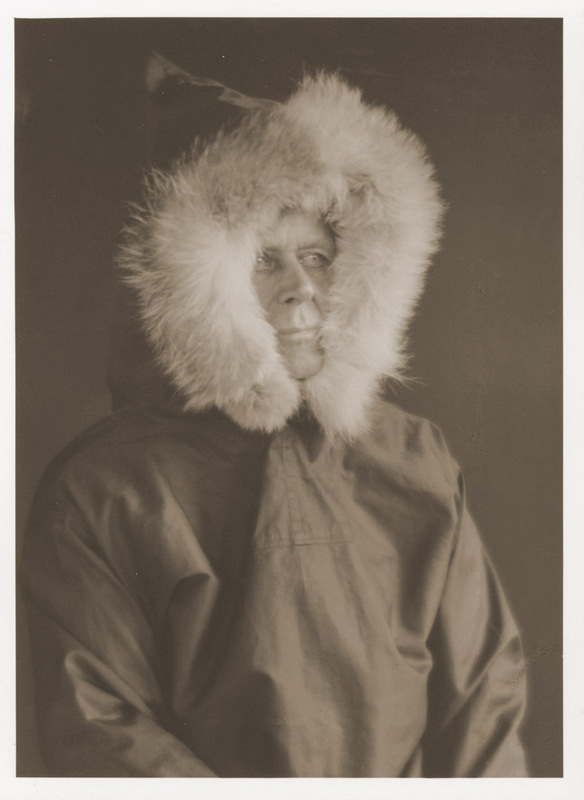 The Reynolds Papers include reunion materials, photographs, and writings, as well as a small collection of UMass memorabilia. For nearly 30 years, Fred C. Sears served as Professor of Pomology at the Massachusetts Agricultural College. Born in Lexington, Mass., in 1866, Sears was raised on the Kansas prairies and educated at Kansas State College. After graduating in 1892, he taught horticulture in Kansas, Utah, and Nova Scotia before returning to Massachusetts and to MAC in 1907. 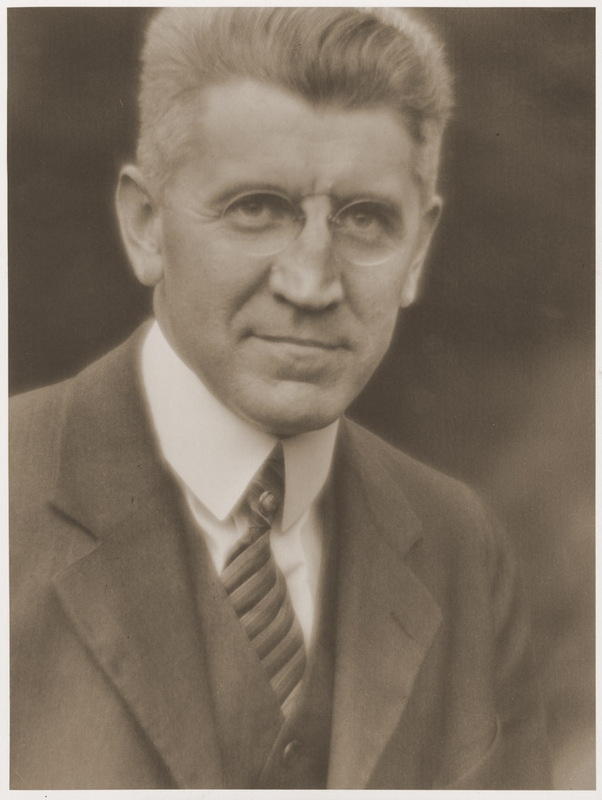 The author of three textbooks and numerous articles on fruit culture and orcharding, he also developed the successful Bay Road Fruit Farm with his colleagues Frank A. Waugh and E.R. Critchett. Sears died at his home in Amherst in October 1949. In addition to several offprints, the collection contains a set of articles written by Sears for the Country Gentleman bound with editorial correspondence; the well-edited original manuscripts of Sears’ textbooks Productive Orcharding (1914) and Productive Small Fruit Culture (1920), including correspondence, reviews, and photographs; Reports of the Massachusetts Fruit Growers Association (1911-1912, 1914-1916), and editions of Productive Orcharding (1927) and Fruit Growing Projects (1912) bound with Japanese titles.